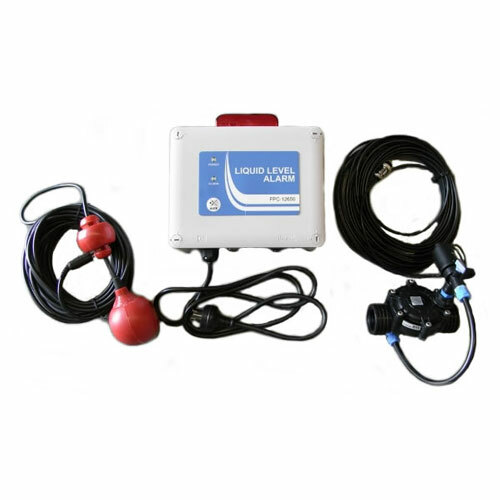 Designed to provide audio and visual warning indication and halt water flow when holding tanks become full. Audio buzzer can be muted via the mute button visual alarm will remain until the alarm condition is eradicated. If not muted audio buzzer will silence after 5 minutes and enter chirp mode. Chirp or continuous mode can be set via jumper position see diagram. Solonoid valve is energised whenever the alarm is triggered. Controller must be installed by a qualified electrician.note: any installation outside the guide provided will void warranty. Mount alarm to building using mounting points provided on alarm. 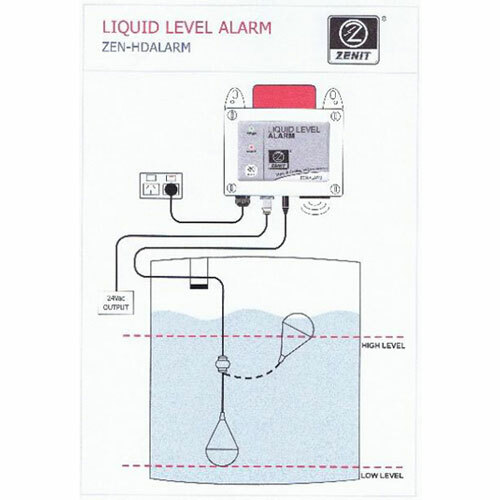 Install float and counterweight to holding tank (be sure to set float level to required hight prior to instaling to holding tank) plug in to level alarm. Install solenoid to piping between water suppy and building (ensure correct fitting of solenoid with no leakage) plug in to level alarm. Connect level alarm to 240v power. Empty holding tank when full to reset the alarm. 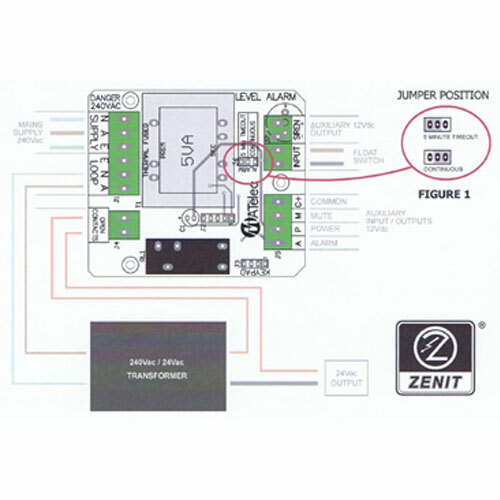 When Alarm Box is Mounted building and connected to 10 amp GPO - Fit Float into Holding Tank and set Counterweight on cable to Achieve Float Alarm Level - Connect Float Cable to Alarm Where Labelled.